If you have paraskevidekatriaphobia, you’re probably looking forward to the weekend more than the rest of us (it’s a long-winded term that describes an irrational fear of Friday the 13th). Today is the first of three Black Fridays we’ll see this year – the second is in March and the third in November. But on to the weekend. Between Valentine’s Day and the National Multicultural Festival, there’s plenty going on to keep you busy. For Valentine’s Day ideas, check out Heather Lansdowne’s piece, What’s on in Canberra this Valentine’s Day. She’s also put together a great op shop guide for choosing the perfect bargain Valentine’s Day date outfit. Sophia Carlini is heading to the opening weekend of Canberra’s newest nightclub, Mr Wolf, on Saturday night. Then on Sunday she’s having lunch at the Farmhouse Restaurant at Pialligo Estate, which opens for business today (13 February). Kate Buscombe, Alexandra Craig and Amy Birchall are keen to check out the National Multicultural Festival, which kicks off this evening and runs until Sunday. It’s a busy Friday night for sport. Former Wallabies captain David Pocock will lead the Brumbies tonight when his side takes on the Queensland Reds at GIO Stadium, while the University of Canberra Capitals play the Bendigo Spirit at the AIS Arena. For those who aren’t as passionate about rugby or basketball, there’s always the Night Market Canberra at Hotel Realm, which runs from 4pm to 9pm tonight. It’s a free, family event that offers fashion, food, home wares and accessories. In other market news, Three Sixty Fashion Market is on Sunday at the Fitters Workshop on Kingston Foreshore. Everything for sale is recycled, has an ethical focus or is handmade. Alternatively, check out the CanberraComm.Unity Twilight Markets at The Hanger in Fyshwick on Saturday from 3pm or pick up a literary bargain at the Lifeline Book Fair, which is open until Sunday at EPIC. 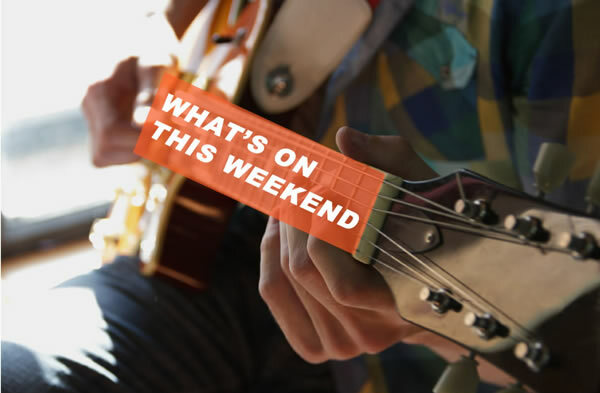 In entertainment, rock musical High Fidelity continues at ANU Arts Centre; Thelma Plum and L-Fresh the Lion perform as part of the Canberra Multicultural Fringe Festival on Saturday night; and the February Blues Jam takes place at the Harmonie German Club on Sunday. Lucky’s Speakeasy is also hosting a Little Black Dress party on Saturday night. Bring your platonic male bestie instead of a date – you think he is the bees’ knees, so another lucky single lady in the crowd might meet her perfect match. The Anne Frank exhibition (developed by the world-famous Anne Frank House in Amsterdam) continues at the ACT Jewish Centre and is open on Sunday from 10am to 5pm. Bring your picnic baskets and your loved ones to the lawns of Government House from 5pm on Saturday as the Canberra Symphony Orchestra invokes the music of the British Isles in the 33rd Shell Prom Concert. Or, if you’re planning an adventure a little further from home, don’t miss Travel Expo at the National Convention Centre on Sunday. This Sunday will also mark the final stop of Capital Metro’s consultation checkpoint station, with Capital Metro’s consultation team visiting the Multicultural Festival from 11 am to 5 pm, providing Canberrans with an opportunity to have their say on the latest thinking on urban design for Capital Metro Stage 1. Tags 14th and 15th February What's on this weekend?